Intuitive ePOS software for improved productivity through better customer engagement and powerful analytics tools. Hike’s ePOS software is very easy to use across all platforms. It is a feeling of flexibility and ease that your team can pass on directly to your customers. Whether they are buying with you in-store or online, Hike makes things faster and easier. A true ePOS software is device independent. Our Hike cash register app for iPad helps you run your entire business using a tablet device. Sell at exhibitions, trade booth or take it to wherever your customer is in your store. Whether you’re considering expanding your shop horizons by 1 store or even 100, Hike makes scaling your business a breeze to do. Manage all your stores straight from your POS, and switch between each outlet with just a click. Your data is centrally located giving you real-time updates to any changes that occurs in your inventory – and the rest of your store. Transfer stock in & out of outlets, set automated re-order points when items gets low and even gain insights into your best-selling products. One of the benefits of utilising ePOS software is its portability, that enables it to be a POS system for on-the-go sales too. It’s compact size, mobility and Bluetooth connectivity with retail hardware, makes it the ideal partner when selling on the road. In embracing the modern ePOS software with Hike, the benefits of increased customer engagement are visibly apparent. 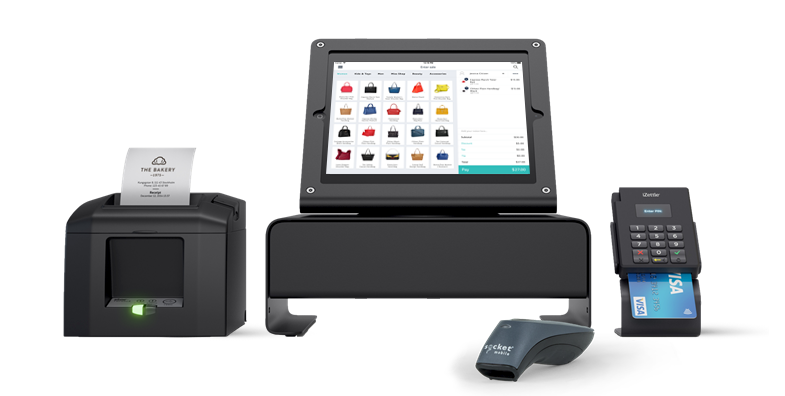 Replace those old clunky cash registers with Hike’s streamlined POS, creating a better in-store aesthetic for your customers – old and new. Hike provides users with complete and transparent reporting of all aspects of store operations. Use Hike’s central dashboard to review sale transactions, inventory reports, customer spending habits and even the sales performance of your staff! With a wide-range of compatible plug-n-play hardware, the chances are any existing printers, barcode scanners that you have laying around, will work with Hike POS. With simple USB, Bluetooth, Wi-Fi or Lan connection, you’ll be ready to sell in no time. Used in over 65 countries, Hike is accessible to retailers worldwide as we’ve partnered with leading payment processors. Use card chip readers like PayPal Here, iZettle, Tyro and Vantiv to give your customers faster and easier payment transactions. Hike’s ePOS software is compatible on any device that has access to a web-browser and internet connection. It’s the next step in retail technology solutions that doesn’t require you to be in-store to make pertinent business decisions and observations. We’re mindful of how setting up an ePOS software may sound like a difficult task, but Hike has the made the process extremely easy with detailed support guides, tutorial videos and a 24/7 live chat support service. Our team is always on hand to answer all your questions.